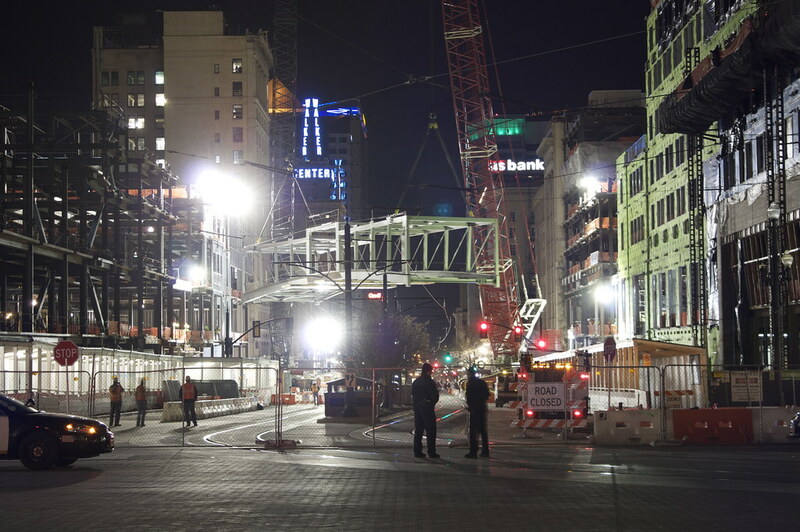 Downtown Salt Lake City now has a skybridge. I went downtown Saturday evening at about 11:30PM and set-up the camera. I set-up at the head of Main Street on South Temple. Not a lot of people there. I guess most everyone else was on 100 South looking at it from the other direction. They started raising the bridge around 12:15AM and I finally left at around 1:40AM. It was really cool to see those big cranes lift this bridge and then swing it into place. The top and sides will be in glass with a concrete base. 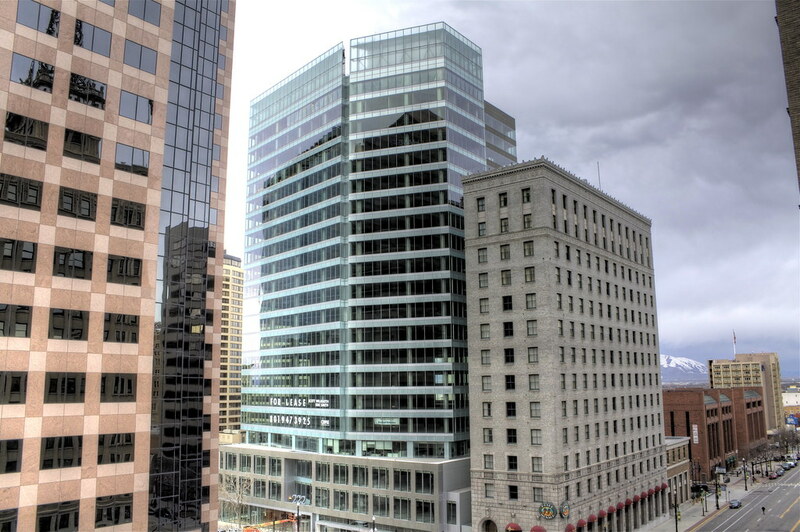 Great news today for downtown Salt Lake City as Goldman Sachs made the announcement that they are moving into the newly completed 222 S Main highrise on Main Street. They currently have 700 employees in their Salt Lake City office and plan on growing it to 1,150 employees in downtown. They have signed a lease to take floors 7-14. This is awesome because that means 222 S Main is now about half full with the attorney's on the upper floors and CBRE Richard Ellis moving in as well. 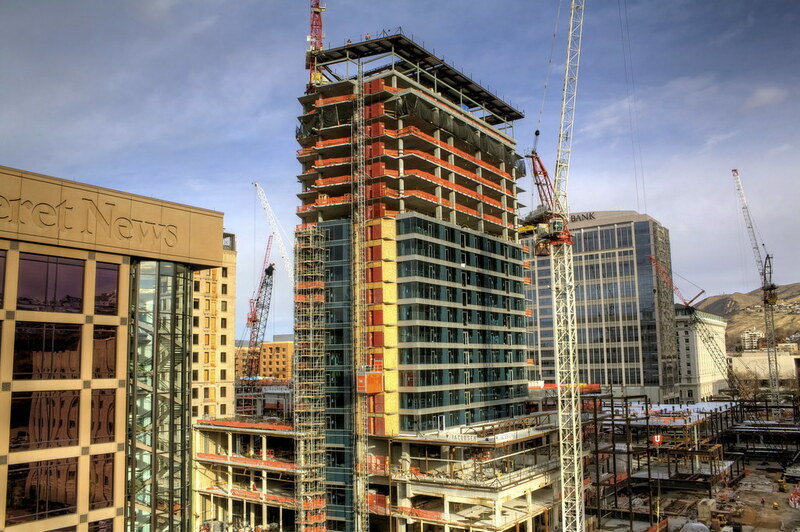 At this rate, it is time to get another skyscraper going downtown. Now if only, downtown can start getting some of the companies out in the burbs to come downtown where the real action is. Also, if you are a company that is looking to move to Salt Lake City or need more office space, you have got to check out this building. It is absolutely beautiful. Right in the heart of everything. TRAX trains at your front door. City Creek Center is only a block away and in a couple of years you will be able to TRAX straight from here to the airport. It doesn't get much better than this. 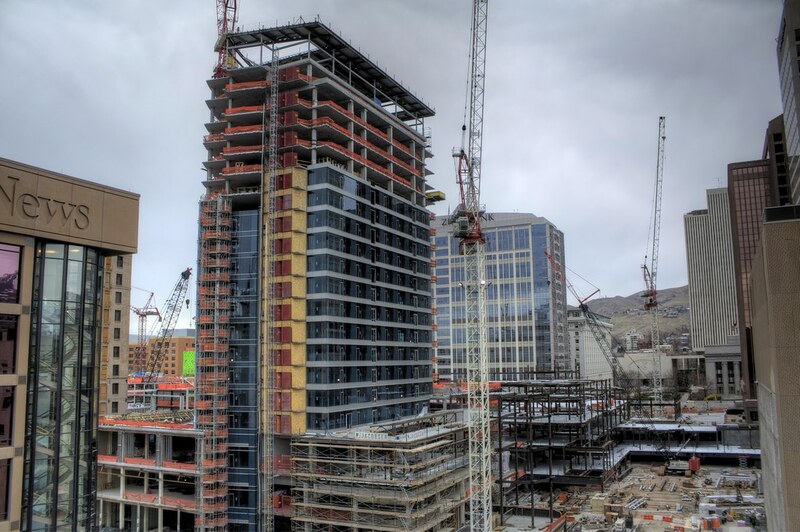 Well, downtown Salt Lake City is not only rising, but like a phoenix is coming back from the ashes. 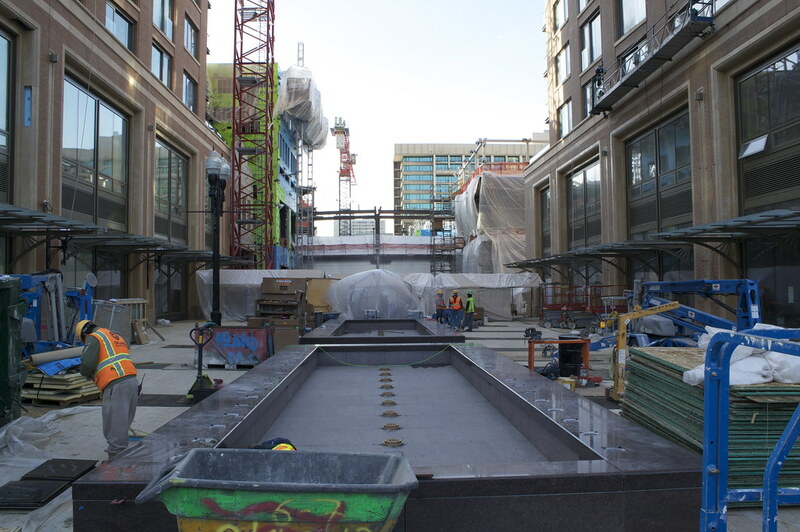 As we watched the old ZCMI and Crossroads Malls slowly deteriorate into a not so welcome place to go, we now have City Creek Center getting closer to completion. Granted, there are still 2 years until completely finished but with parts of it coming online, I think people are getting more excited about this project. The difference that this has with the old malls is the integration of people living downtown. Also, a huge concern with people is that it would trap people inside the development. That the skybridge would also detract people from going down to Main Street. However, I think that with the interaction that all of these buildings have with the street, that will not be an issue. There are also many access points into this development from all directions. Check out all of the housing that will be in this development. 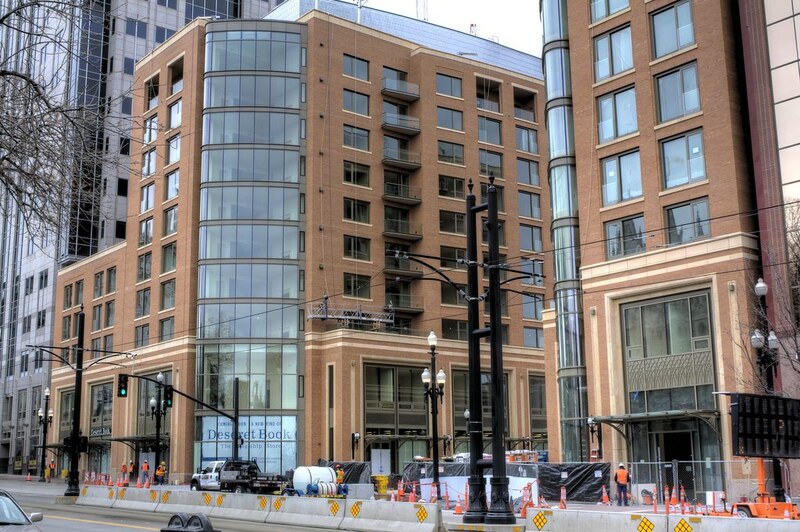 The first picture shows the apartments that will be above retail on the west side of Main Street. Here is The Regent, which is a 20 story condo tower. Sorry everyone, but all 4 penthouse units have been sold or reserved. Next you have Richards Court which stand right across from Temple Square. Both buildings are 10 story's tall. Here is a picture of the east building. Lower level retail with condos on top. Finally we have tower 1, which the word is that it will be called The Promontory. 30 story's of condos. Beautiful all brick building which stands where The Inn on Temple Square used to be. 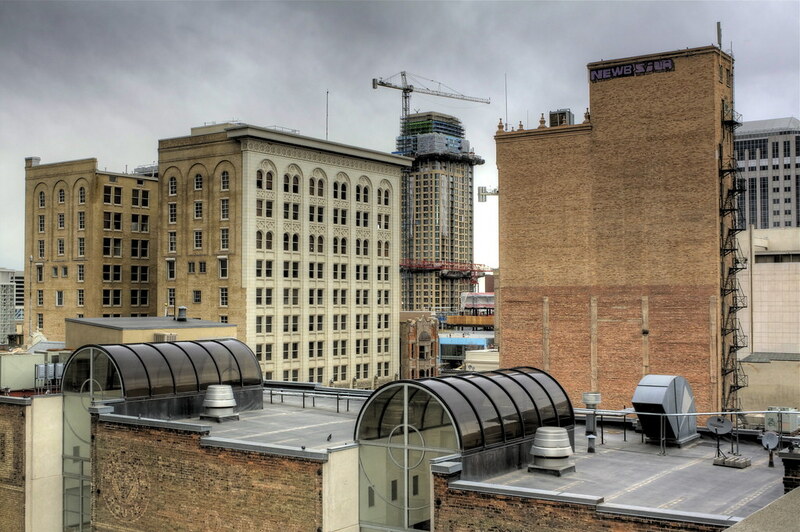 You can see it below right between the Kearns Building and the Tribune building in the picture. It sure is fun to watch downtown come back to life. 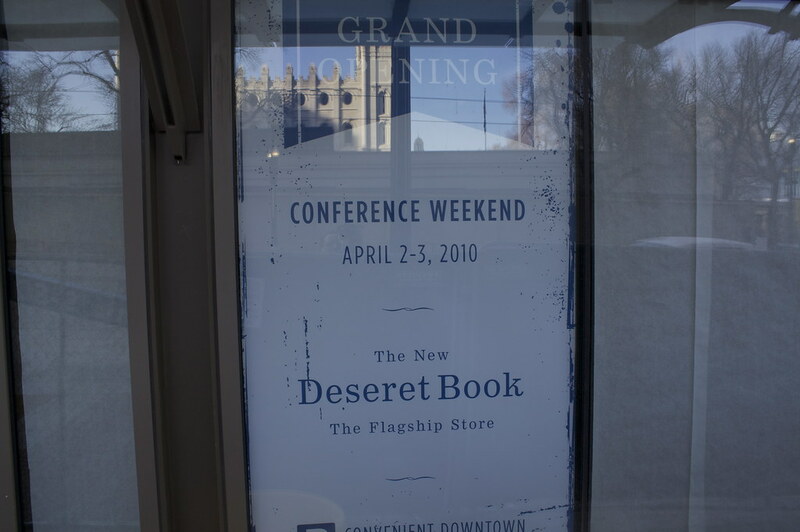 I was downtown taking photos of the City Creek Center and when I went past the Richards Court towers on South Temple, I saw the large sign in the window saying that it will be the flagship store for Deseret Book and that it will be opening conference weekend on April 2nd and 3rd. Very exciting to see parts of this project coming on line. Below you will see where the new Deseret Book will be located along with the courtyard area between the two towers. This location used to be the old entrance to Crossroads Mall. What a change that has taken place? 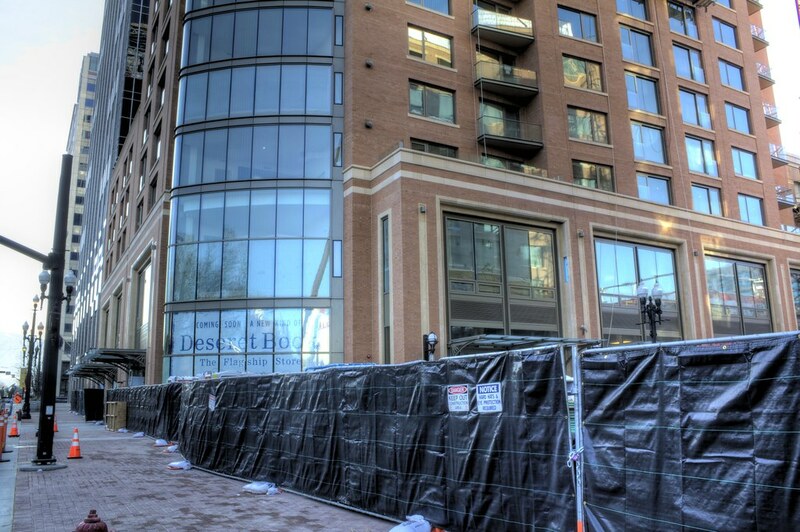 The changes to downtown Salt Lake City have been amazing these last 3 years to say the least. For those of you who remember downtown with Crossroads Mall and ZCMI Mall, it is definitely a thing of the past. Welcome to City Creek Center. This has been amazing to watch and will take our downtown to a whole new level. 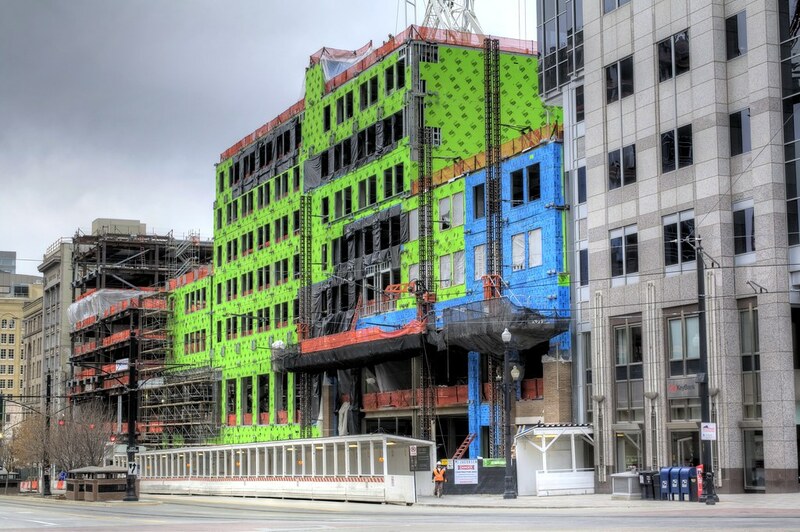 I am excited to see all of these new condos come online and add people to downtown. Below is a picture of The Regent. It's a 20 story condo tower on 100 South between Main Street and State Street. The glass is beautiful and changes its look quite a bit depending on the lighting. You can photograph it in the early morning and it has a greenish look to it from one angle and then you see it from a different angle and it looks dark blue. I can't wait for it to all come online. It should creat a lot of fun areas to take pictures.